Help your leaders find out which skills they need to develop. Target development efforts where it will make a real difference. "accurately predict future job performance and job satisfaction"
The Leadership Inventory was developed to provide professionals with feedback on research-based competencies of effective leaders. The items in the survey have been shown to accurately predict future job performance and job satisfaction. Professionals can also enhance their promotion potential and salary progression by developing and exhibiting the competencies of interest to those around them. 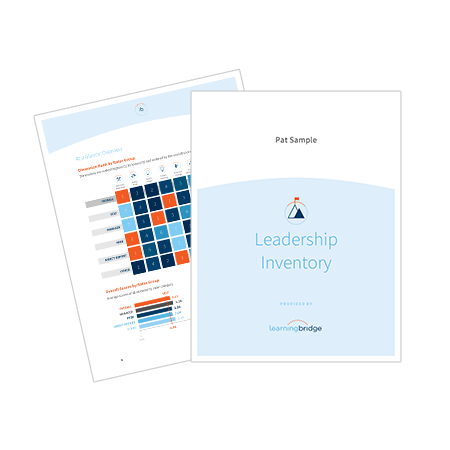 Call now to start using the Leadership Inventory in your organization. Simply let us know who is participating and when, then let us do the rest. Participants and their raters will log in to provide their feedback before the deadline date. Receive results in an easy-to-read report designed to inspire action. 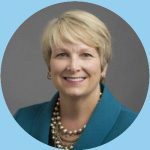 "LearningBridge offers a rare and welcome level of trust; the work will be done right and on time."